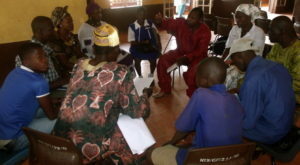 The most important aspect of the Project1808 model is community participation. At every level of our programs and interventions we make sure that the voices and needs of community members are being addressed. To guarantee community involvement we hold regular town hall meetings and work closely with students organizations, supporting the projects and initiatives that are most important to them. At the core of our sustainable community model is an investment in relevant stake holders, community members and community scholars and experts. We especially make it a point to always include local market business women because even though they are often neglected in community decisions by community leaders and other NGOs, we have found that these women play vital roles in the advancement of the community and are armed with a wealth of knowledge on varying issues. We host town hall meetings to hear from the community what they believe to be the areas of improvement in the community and how the community partnership with Project1808 can help address and find solutions to those issues. We continue to receive tremendous positive feedback from members who participate in these sessions. Through Project 1808, our students have organized themselves into a network of student clubs representing the various schools in the community that our students attend. Through this network, students are working together to organize events and working together to find new ways they can support their community. 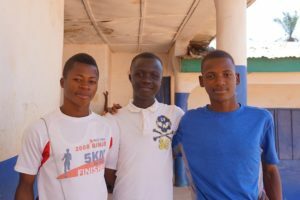 Through these clubs, students have organized several events and projects including a district-wide debate on the state of the education system in Sierra Leone. They were also instrumental in identifying the need for more wells in neighboring communities and they continue to volunteer with our Wata for Wellbodi initiative.